The Rise Of Marc Marquez. 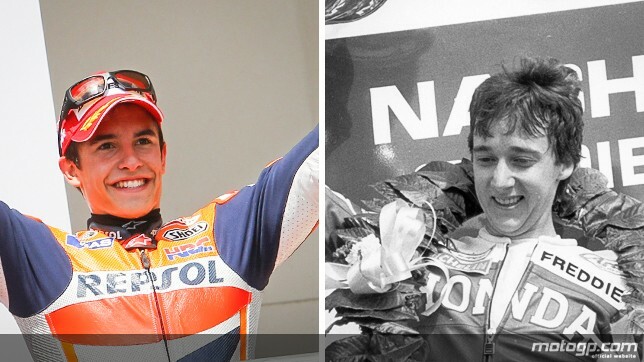 Two 20-year-old MotoGP winners. Marquez the youngest ever by 133 days. The temptation to compare great Grand Prix motorcycle racers from different eras is almost impossible to resist for many MotoGP commentators. Admittedly, it does help generate increased interest from the media, the fans, and the general public, but grabs of history both past and present that align nicely do not necessarily make for a fair comparison or do justice to those involved. Marc Marquez has already claimed the mantle of the youngest winner of a MotoGP at age 20 by 133 days from “fast” Freddie Spencer. In 1983 Spencer went on to win his first World Championship aged 21 years in the 500cc class (MotoGP) becoming the youngest person to win the title. 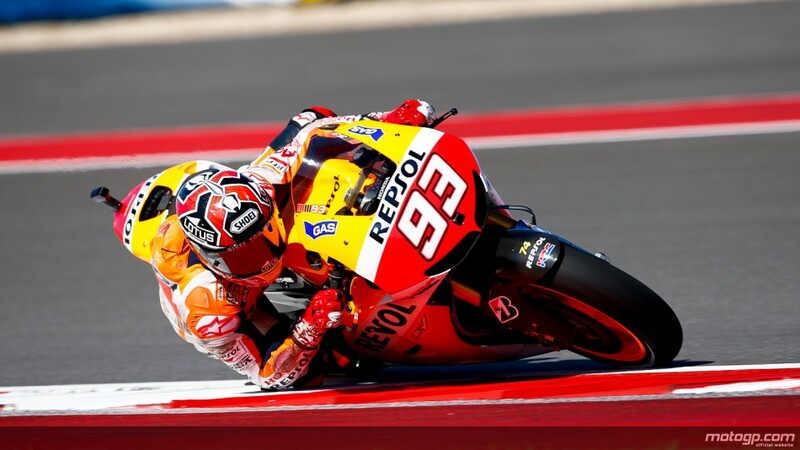 Marquez appears to be on course to wrest that achievement away from Spencer as well, currently leading the MotoGP World Championship with six rounds to go as this is written. However in 1985 at the age of 24 Spencer won both the 250cc (Moto2) and 500cc (MotoGP) World Championships, something that no other rider has done, and is a feat that is unlikely to ever be repeated. It should also be noted that Marquez started racing in the 125cc World Championship in 2008 when he was 15 and has won both the 125cc (Moto3) World Championship and the Moto2 World Championship, although he was not the youngest champion of either of those two classes. Freddie Spencer the youngest MotoGP World Champion at 21. The same commentators are also espousing that rookie Marquez may win the MotoGP title in his first year. 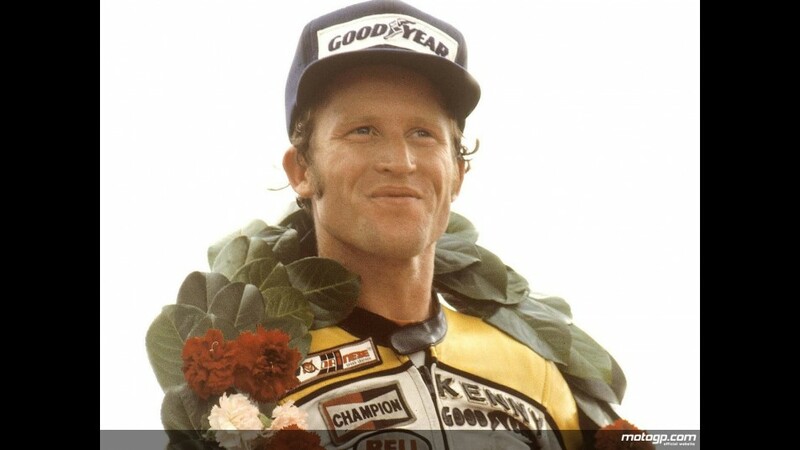 The last person to achieve this was Kenny Roberts 35 years ago in 1978. But here there is a rather significant difference in circumstance between Roberts achievement and that of Marquez should he attain the title. Roberts World Championship effort was backed by Yamaha America, who only supplied his team with equipment. This consisted of three different GP racers for the three different classes Roberts was contesting. Formula 750, 500cc GP and 250cc GP – one machine for each class with no spare bikes. His crew chief was expatriate Australian, Kel Carruthers, a former 250cc World Champion and a mentor to Roberts, accompanied by mechanics Nobby Clark, Trevor Tilbury and a Yamaha technician. Roberts had helped develop Goodyear’s racing tyres in the States, and it was the American company that put up the money that was needed to go racing in Europe. Goodyear naturally supplied the tyres. 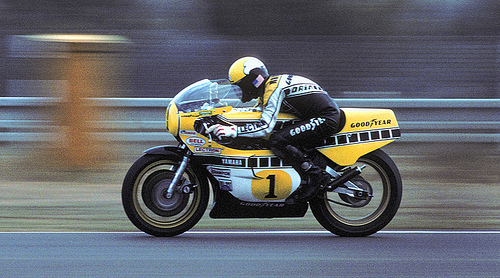 Roberts went on to win a hat-trick of 500cc World Championships. Nonetheless, Goodyear eventually weighed in with more development tyres, and Yamaha finally supplied Roberts with a second bike for the 500cc GP class. Roberts dropped the 250cc title challenge after winning two races and at one stage leading the championship, finally finishing fourth in the standings. 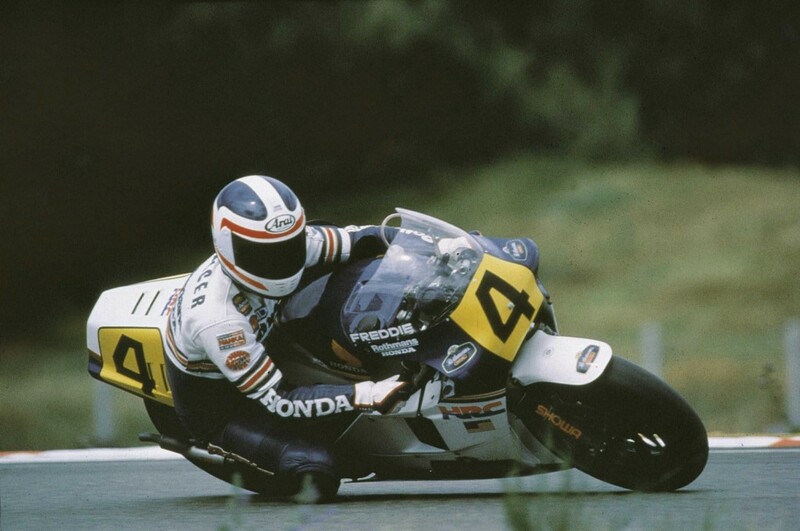 Roberts continued on with the Formula 750cc World Championship finishing second in the title five points behind Johnny Cecotto. But Roberts won the 500cc GP (MotoGP) World Championship by 10 points from Barry Sheene against a flotilla of factory Suzuki’s and the works Yamaha of Johnny Cecotto. It was an outstanding achievement. Marc Marquez in action. A future multi MotoGP World Champion? By comparison, Marc Marquez has raced in the world championships for five years now. In MotoGP, there is only one track that was new to him, Laguna Seca (The Circuit of the Americas was new to everyone in MotoGP this year). As a World Championship prodigy in the smaller classes, he has been groomed by both Repsol and Honda to fit seamlessly into the retired Casey Stoner’s seat at the team. With a dearth of experience from the team around him and mountain of electronic data to relate to and the use of control tyres, the only thing that can stop Marquez from claiming the title may be fate. He has proven he is fearless and usually comes out on top when pressured by his peers. Indeed if there is a similarity between Marc Marquez and Kenny Roberts championship campaign, it is the fact that they are both real racers in every sense of the word. And there is no doubt in anyone’s mind that Marquez will continue to break records. This entry was posted in Motorcycle Racing and tagged Barry Sheene, Freddie Spencer, Grand Prix motorcycle racing, Johnny Cecotto, Kenny Roberts, Marc Márquez on 03/09/2013 by Geoff Dawes.